Could your friends be costing you cash? 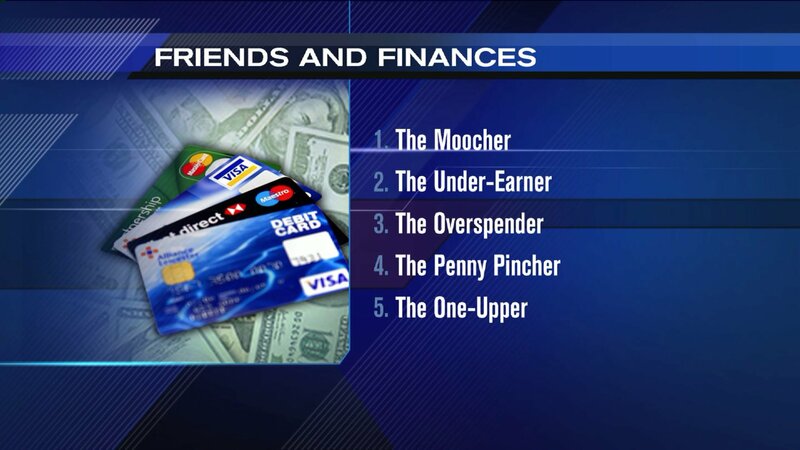 Tony Zimmer has some tips on how to identify pals who are draining your wallet, and how to get back in the green. Do you have a friend who never seems to stop talking about not having enough money? Or who always seems to "forget" their wallet? Whether it's buying a round of drinks or the lunch bill, if you are always picking up the tab for your friend -- beware! Be disciplined about how much you spend when you go out -- a good way to stick to your plan is to only bring cash. Remember, small purchases here and there can really add up, and that's money you could be putting into savings. Make it clear to the Moocher that you are trying to be strict with your budget, that way you can skip the uncomfortable conversation about borrowing money. This friend is always struggling with finances because they aren't making enough to make ends meet or they currently aren't working. Many times we feel the need to pick up the tab for the under-earning friend. No matter how bad you might feel for your friend's situation, consider less pricey get-togethers. You may want to ask your friend over to your house for dinner, organize a potluck, or just meet for coffee instead of lunch. Look for free museum days, art fairs and other events you can take advantage of. If you can't afford it, don't buy it. It may sound simple, but it's not just kids who feel peer pressure! The average household has more than $15,000 in credit card debt. If you find yourself using your credit card to keep up with your overspending friend, you need to go back to your budget. If you don't have one, you need one. The Penny Pincher is always searching for the cheapest deal. You would think having this type of friend would be a good thing, but be careful. Spending time with a Penny Pincher can also lead you to buy things you don't need just because "it's a good deal." Paying less for something because it's on sale feels great! But, don't fall into the trap. I advise my clients to impose a "48 hour rule," especially for big purchases. If you're tempted to buy something, wait 48 hours and see if you still want it. Often times, the impulse will pass. If it doesn't, check your budget to make sure it's something you can afford. This friend is always competing with you when it comes to spending. If you buy a new 50-inch TV, they buy a 60-inch. You take a beach vacation to Hawaii, they are going to Costa Rica. The problem with the one-upper is they live for now. I encourage my clients to see the big picture. So, focus on your own finances. Getting out of debt, building up your savings, investing in your retirement -- all of those things will make you the big winner in the long run.